In activity-centric process paradigm, developing effective and efficient performance models is a hard and laborious problem with many challenges mainly because of the fragmented nature of this paradigm. 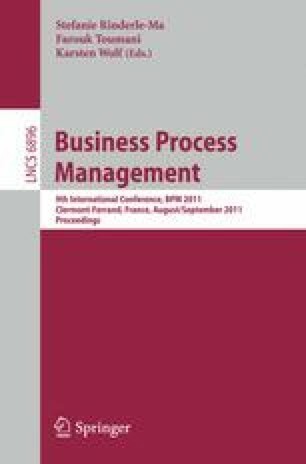 In this paper, we propose a novel approach to performance monitoring based on business artifact-centric process paradigm. Business artifacts provide an appropriate base for explicit modeling of monitoring contexts. We develop a model-driven two-phase methodology for designing real-time monitoring models. This methodology allows domain experts or business users to focus on defining metric and KPI requirements while the detailed technical specification of monitoring models can be automatically generated from the requirements and underlying business artifacts. This approach dramatically simplifies design of monitoring models and also increases the understandability of monitoring results.